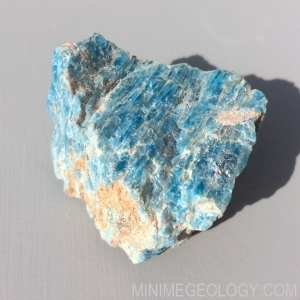 Apatite minerals are often colorless, yellow, green, brown, red or blue and often occur as accessory minerals in igneous rocks. 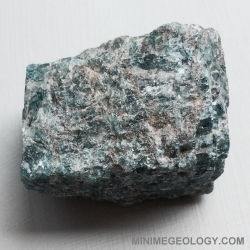 Apatite is soft with a white streak and glassy luster. Some varieties are used as gemstones. Occasionally, apatite crystals will glow yellow under ultraviolet light.